Manx Precision Optics Ltd. is a family-owned manufacturer of high precision optics. Founded in 2013, the company employs an experienced workforce with all senior employees having over 20 years experience in precision optics manufacture. Manx Precision Optics’ state of-the-art production facility is based in an Isle of Man Government owned high-tech industrial park and comprises over 5000ft2 in manufacturing space in close proximity to the Isle of Man Airport. To ensure full traceability and the highest quality standards, Manx Precision Optics’manufacturing processes are all ISO 9001:2008 certified. 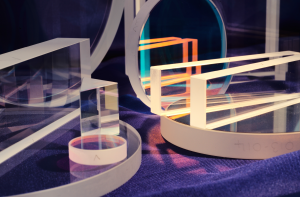 Having the full manufacturing process from shaping, grinding and polishing to optical coating (e-beam and sputter coating) and assembly in-house allows Manx Precision Optics to have full control of all aspects of precision optics manufacture. We work with our customers to identify cost drivers at the very early stages of development and find the best, tailor-made solution for their applications. Our large stock enables us to manufacture prototypes within a short timeframe. applications, supplied with measured GDD curve.